Medical grade stock shapes produced under ISO13485 quality management system by Röchling. Semi-finished plastic product manufacturer Röchling Sustaplast, part of Röchling's High Performance Plastics division in Germany, has gained ISO13485 certification for the manufacture of medical products. 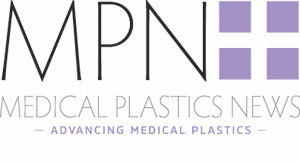 The company, from Germany's Rhine-Lahn region, manufactures semi-finished plastic products used in devices for medical technology, among other applications. They are employed in surgery, dental technology, diagnostic radiology and treatment systems. For the manufacture of these products Röchling Sustaplast has introduced a quality management system compliant with EN ISO13485:2012. In doing so, it has tailored its operational processes to meet the requirements of the standard and obtained the appropriate certification from TÜV Rheinland. ISO13485 is the standard for quality management systems in medical technology manufacturing. It takes into account, for instance, the design, development, manufacture and distribution of products for this industry. Products that are used in medical treatment must be safe and physiologically harmless so that patients do not suffer any negative effects—patient safety is the top priority. For operational processes, the norm lays down standards which are intended to ensure that products are suitable for use in the industry. In implementing it, Röchling Sustaplast confirms the physiological safety of the semi-finished products and traceability right back to the raw materials batch. "We meet the high standards expected of the manufacture of medical products. The focus is on patient safety. All our processes are geared to that," stated Eugen Schmidt, who heads up the medical technology unit. The certificate is valid for five years. TÜV-Rheinland verifies compliance with the specifications for the QM system in annual audits. Ludger Bartels, COO of parent company Röchling Group, is said to be very satisfied with the introduction. He said: "By establishing a quality management system in accordance with EN ISO 13485 we have taken a significant step forward on the way to strengthening our position as the leading supplier of plastic products for medical technology. We will continue down this path consistently."